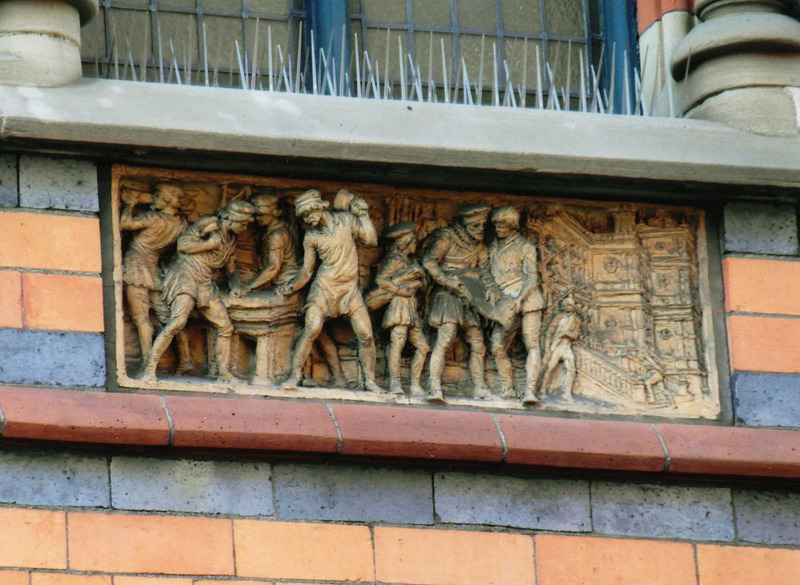 A recent trip to Birmingham and Nottingham has yielded images and information. 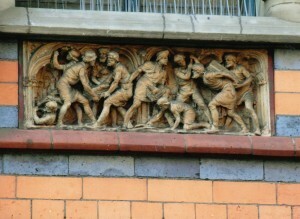 The Nottingham photographs are of the frieze on an architect’s office. 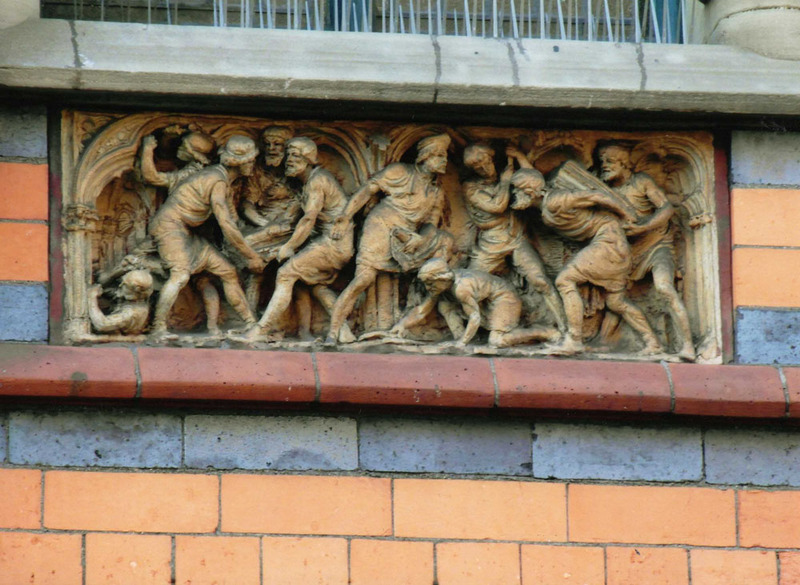 They were created for architect and then owner Watson Fothergill, at 15 George Street dating from 1894-5. 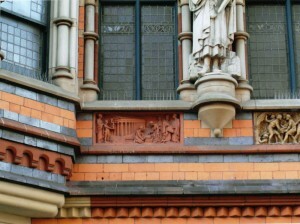 They show medieval building processes with wood and stone and the Tudor building of a local ‘Stately House’ thought to be Wollaton Hall in buff terracotta and a terracotta pane depicting a ‘Victorian’ version of the building of the Parthenon which was exhibited in 1897 listed in the Mapping Sculpture site. 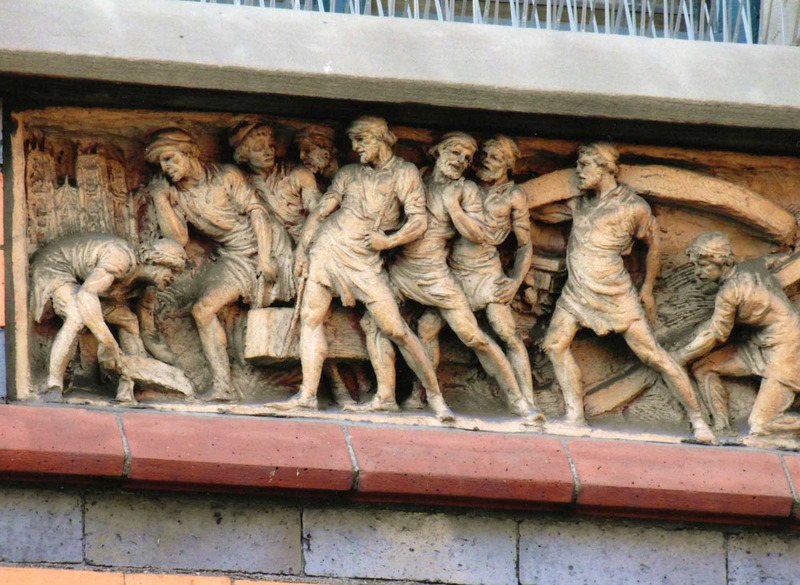 There are also sculptures of Fothergill’s archtectural heroes. One is noted as being Pugin, the other is not named. 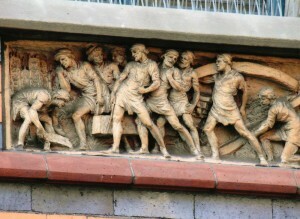 As far as I know, it is nor recorded who these works are by. 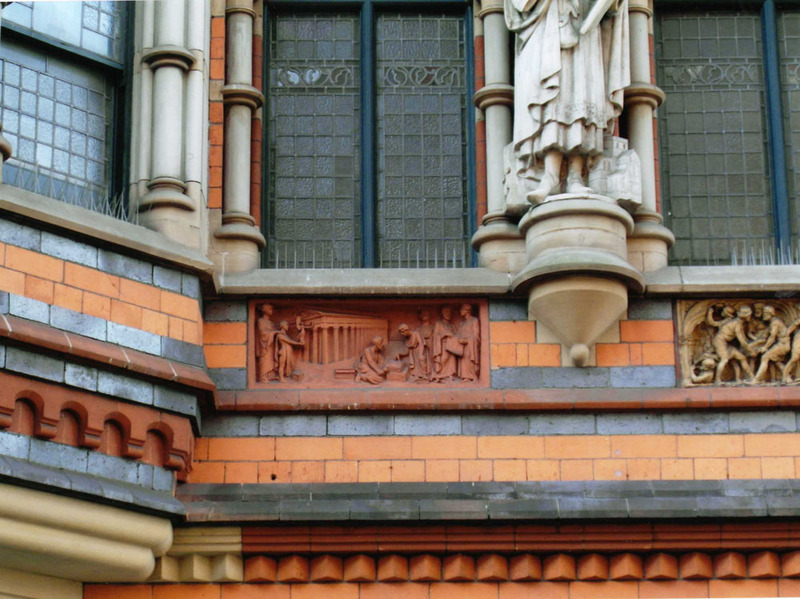 There is another small statue of an architect pointing to plans for a cathedral the description s from the Nottingham Pevsner Guide. 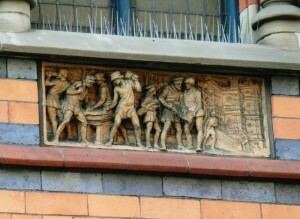 The archives at the Royal Birmingham Socety of Artists have records of Creswick’s associate and full membership and his appointment as professor of sculpture with signatures in their wonderful members book with vellum pages I am at present seeking permission to include these images and hope to post images soon with other information on exhibitions. I look forward to posting further updates.